UML Component Diagram is a type of Structure Diagrams that shows how components are connected to larger components or software systems, and shows the dependencies among these components. Component-based development supposes that constructed components can be reused and replaced by some other components. Components in UML can represent logical components and physical components. The behavior of components is defined in the terms of provided interfaces and required. There are two types of connectors linking components: assembly connectors and delegation connectors. Assembly connector is a connector between two components that allows to connect the required interface of one component with the provided interface of another component. Thus the assembly connector is described that one component provides the services that another component requires. A delegation connector is a connector that describes how a component realizes the specification of behavior. When a delegation connector is assigned, the signals that arrive at the port will be delegated on the internal part. To communicate with external part it is necessary to delegate signals from the internal part to a port using the delegation connector. 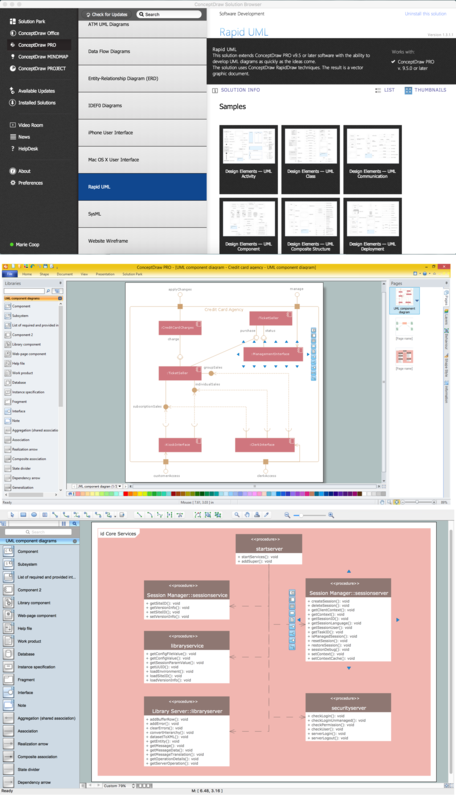 Rapid UML Solution for ConceptDraw DIAGRAM contains 13 vector stencils libraries with 393 interactive shapes that you can use to design your UML diagrams. 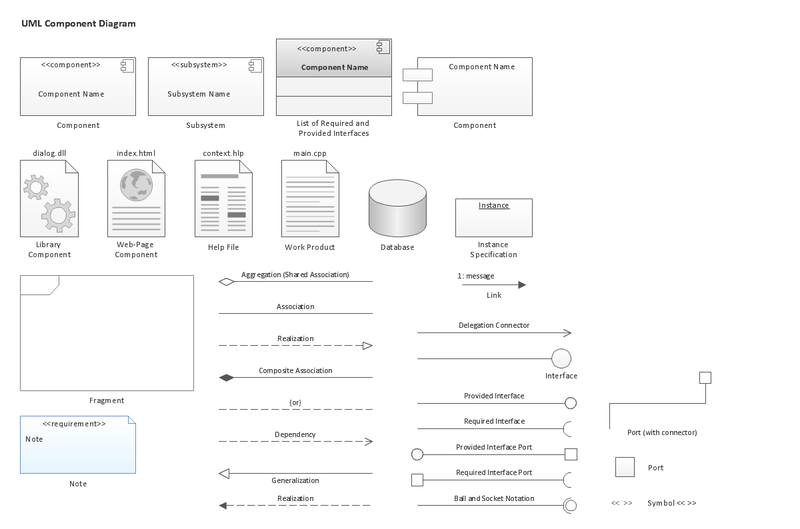 To design a Component Diagram use the UML Component Diagram library.